At Tech.Sell, we offer more than quality CRM software. We also offer CRM training as well as ongoing support and consulting for every product we carry. Training is available for GoldMine, Nimble, and other CRMs, and you can count on us to provide ongoing support to help you unlock the power of your chosen CRM program with personalized training. It all starts with a one-hour online training session for GoldMine, Nimble, QuoteWerks, or LeadMaster so you can see what happens when you have experience on your side. We've lost track of the number of companies who have called us saying, "We've had GoldMine for years, but we really don't use it for much more than an address book and calendar." If that's all you're using it for, you're throwing money out! We've been applying the power of GoldMine for other companies through training and support since 1995. All of our CRM courses are customized to directly answer your questions and the needs of your organization. Training is available online and on-site, with one-on-one or group training solutions available. People who are trained truly "get it", and are eager to use the software to get their job done better and faster every day. Count on us for on-site, web-based, one-on-one, and admin training to help you and your team reap the benefits of properly implementing the best CRM solution for where you are. Online training is fast and eliminates the travel expenses for remote users, while on-site training allows for more one-on-one attention. We even offer breakfast brainstorms and lunchtime learning sessions that accomplish a lot in a little time. We use GoldMine every day in our own office, and have for more than 20 years. We're also certified trainers with GoldMine, and the class for GoldMine is taught by founder Rick Mignano. In addition, we've used all of the other solutions we sell and train on, as well. 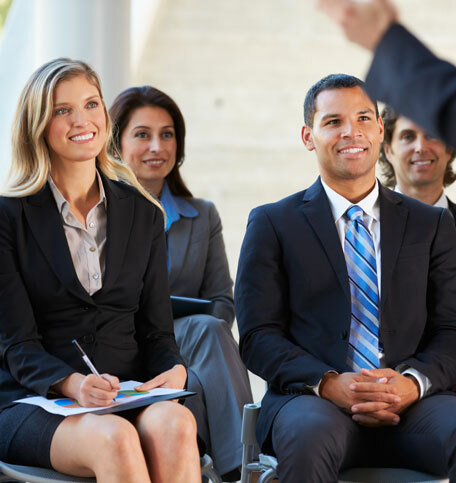 Your training is specifically customized to meet the needs of your organization. From Basic to Administrator, your training teaches exactly what you need to know. We believe there is no hopeless case nor are there stupid questions. Contact us today to discuss your needs and get the tailored training you deserve.